How to log into the app whether it's your first time or you already have an account. When you first open the app you are presented with 3 options. Select your Home Hub, if you have allowed Snizl to use your location it will automatically suggest the one you are in. If this is not the one you want then you can choose from the list. 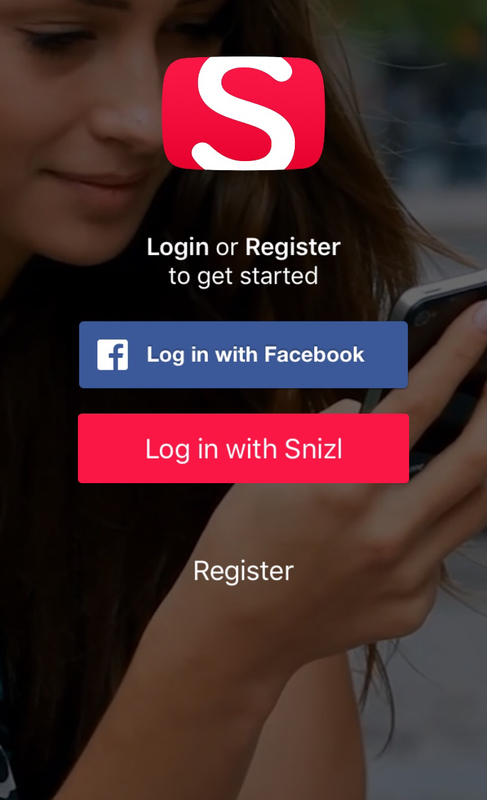 This is the easiest way to sign in - Press 'Log in with Facebook' - The app should now divert to your Facebook, it will then re open the Snizl app and take you to the main feed. Theres no need to do anything else, its that simple. 5. Go to your email and open the one from Snizl titled "Password Reset"
7. It will now take you to Snizl.com and ask you to select and confirm a new password.